A devastating disease that has killed millions of bats in the eastern United States has now been confirmed in the Pacific Northwest. For the first timewhite nose syndrome has been found west of the Rocky Mountains. In mid-March, a hiker on a mountain trail east of Seattle found an ailing bat and brought it into a local animal hospital. Two days later, the bat was dead. A government lab confirmed it had an advanced case of white nose syndrome. The disease is caused by a fungus (Pseudogymnoascus destructan) that leaves a characteristic white coating on a bats nose. The fungus attacks the wings and disrupts hibernation cycles. It can spread from bat to bat, or by other means, like by humans who visit infected areas. With a mortality rate of up to 100 percent, it’s wiped out bat populations in the Eastern United States, killing more than 6 million total of seven different species. The loss of millions of bats — and the possible extinction of some species — has big implications for the ecosystem. 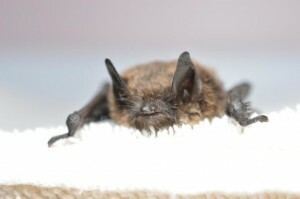 Bats consume insects, saving farmers in the U.S. alone over $3 billion annually in pest control services, according to the Washington Department of Fish and Wildlife. Many species of bats are also valuable for the pollination of plants and dispersal of plant seeds. The level of infection in the little brown bat found near North Bend, Washington, is telling, says Jeremy Coleman, National White Nose Syndrome Coordinator for the U.S. Fish and Wildlife Service. Combine this with the broad range of the little brown bat in Washington (and the surrounding states), and biologists believe it likely this isn’t an isolated case. “It’s certainly a strong possibility it would be affecting a larger area,” says Biologist Greg Falxa with the Washington Department of Fish and Wildlife. But the scientists stress that with a sample size of one, they still don’t know if and how far the disease has spread in the Northwest. In the eastern U.S., white nose syndrome has led to closures of caves to the public. And managers of those that remain open are taking precautions to limit spread of the fungus spores – like requiring visitors to walk across decontamination mats when entering and exiting the caves. Officials say it’s too early to make any kind of similar decision in the Northwest. “We really don’t know where these bats are spending their time. We don’t know where the white nose is,” says WDFW’s Penny Becker. In addition little brown bats in Washington behave differently than the cave-dwelling bats back East. The bats in the Northwest live in rock crevices, trees and buildings as well. “So this is not as simple as closing a couple caves as far a limiting where these bats are,” Becker says. WDFW is working with federal agencies to answer these broader questions now. They’re looking for other infected bats and examining the fungus to see if it the same strain that has infected other bats in the country. State officials are asking members of the public to report sick, dead or erratically behaving bats.